Busy schedule? No problem. Boca Beauty Academy offers day and night classes so students can achieve their barbering education with ease and flexibility. This program is designed to help prepare students to meet the educational requirements for the Department of Business and Professional Regulations (DBPR) and Florida Administrative Code (FAC). Upon successful completion of the program, a diploma will be awarded and graduates will be eligible to sit for the State Board Exam required for licensure. Begin the path to your career today at Boca Beauty Academy! 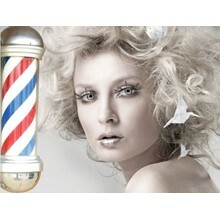 Barbering is not just cutting hair, it is a profession that has its own ethos and lifestyle. Let us help teach the secrets to becoming a successful barber! The barbering program is only available at our Parkland campus. An error occurred while sharing Barbering. Please try again.